The classics have been time tested, and have lasted for a very good reason. We have worked to offer iconic flowers with a bit of modern flare. 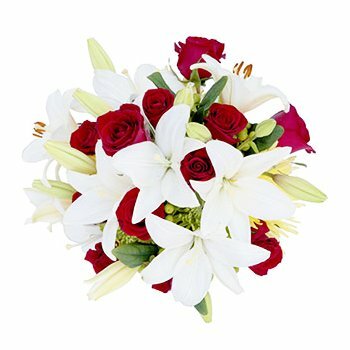 Your recipient will receive stunning red Roses as well full White Lilies. Say Happy Birthday, spoil the woman in your life. or send your best wishes with Traditional Love.